Since its humble 1988 beginnings in founder Linley Butler’s basement, New Zealand retailer HealthPost has become Aotearoa’s largest online retailer of natural health and beauty products. The sustainability-focused business opened its ecommerce store in 2002 and expanded into brick and mortar retail with its first physical location in 2014. In the time after opening that first shop and switching to Vend, HealthPost has seen a major improvement in their customer experience and business success, experiencing a 75% year over year (YOY) increase in their Auckland retail store. We spoke with HealthPost Retail Manager Lilani Rogers to learn more about the mission behind the business and their experience with Vend. Read on to see what she said! Tell us a bit about how HealthPost got started. What are you all about? HealthPost started in 1998, in the basement of founder Linley Butler’s home in the small seaside village of Collingwood. Linley was a solo mother of three who found it difficult to access the health products she required — so she began purchasing items in bulk and sharing them around the community. Demand steadily grew, and her venture developed into a mail-order company. Linley sent out paper catalogs and received orders by phone or mail, with bank cheques as payment. In 2002, Linley’s son Abel convinced her that a transactional website was the way forward. At the time, HealthPost was the first New Zealand health retailer to go online — and today, we’re New Zealand’s largest online retailer for natural health and beauty products. The family-run business continues to be operated from a large, custom-built premise and remains only a stone’s throw from HealthPost’s humble beginnings in Linley’s basement. Linley’s philosophy has always been to make health accessible to and affordable for everyone, and HealthPost continues to uphold that philosophy. Empathy, integrity, and accessibility are still our guiding principles, and we’re committed to environmental, cultural, and ethical sustainability. We also believe that the wellness of the individual is always connected to the health of the broader community and the natural environment. As such, we’ve given $774,546 (and counting!) to humanitarian, animal, and environmental charities through our Better World Donation Programme. We offset our carbon, generate our own power, and plant thousands of trees in our local community so that a better you also means a better world. We believe in the products we sell, and we’re proud to be a part of people taking responsibility for their own health. HealthPost is more than a “shop”; with our ever-expanding online resource of blogs, recipes, and product reviews, we’re a vibrant wellness community that’s connecting our customers with the information and the inspiration they need to achieve excellent health. We demonstrate our commitment to natural health by making a huge range of products as accessible as possible — keeping the price down and delivering swiftly and widely. In 2014, Abel (now CEO) and myself relocated from Collingwood to Auckland to establish the Auckland office and to open our retail store. At the time, we were using Xero and Unleashed as our inventory management software and Magento as our website platform. We needed a retail solution that would allow us to continue to use our existing cloud-based software and to offer a user-friendly experience. After extensive research, we found Vend ticked all the boxes. We’re now using Vend for all the inventory management in our retail store, and we find the functionality and reporting very easy to use. 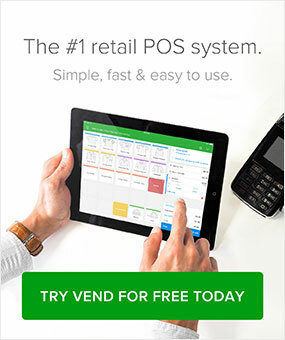 I believe Vend is one of the superior cloud POS softwares on the market, especially with its ability to integrate with some of the other top-of-the-line cloud-based softwares. The implementation was seamless; with a few simple settings, straightforward integration setup, and a couple of account mappings to Xero, we were underway. Having Vend and Xero work so well together has made the whole operational experience a breeze. I’ve found the usability effortless and very friendly. 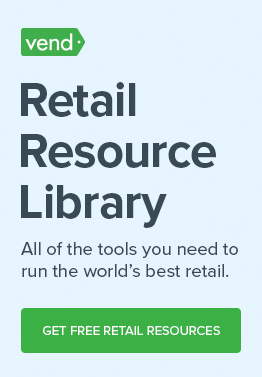 Our team all use Vend U and find the available articles, information, and tips to be great resources. I love being able to check the reports and access Vend from anywhere — or even just from my phone when I’m out and about. We started off with one checkout using a PC and cash drawer, but we’ve since added an additional two checkouts using PCs. It’s great having the flexibility to add or remove the additional registers as required. You’re using the new Smartpay integration for Mac and PC. How did you find setup, and how is your checkout experience now with the integration? Implementing Smartpay has made the checkout experience very smooth for both our operators and our customers. This saves time and eliminates inaccuracy. I’ve found Smartpay IT support and assistance very helpful and easy to deal with. It took just two minutes to set up once we received the new terminal. This also meant we were able to continue to enjoy our own negotiated merchant service fees rather than using a proprietary service provider. Natural health has always been a part of my family. Growing up, we were taught about plants, medicinal herbs, and a healthy and wholesome way of living. I’ve been lucky enough to be a part of the HealthPost family and to work in an organization that shares the same values I do. To be in this environment, surrounded by the wonderful people we work with and the customers who visit us every day, means I can continue to learn and develop alongside an engaging and socially aware company. It’s very dynamic, challenging, and rewarding. Also: I think it really comes down to the customers. Let them drive your business, and always do everything you can to exceed their expectations. We were new to physical retail and didn’t know how this would pan out. It’s been a hugely rewarding learning experience. Our store has now been open for two years, and we’ve enjoyed sharing our success with our customers — many of whom feel like part of the family. It’s been a real delight to have longstanding online customers come into our brick and mortar store for the first time and to get to meet them. We’ve had an overwhelmingly positive response, with a 75% increase in sales YOY. We’ve recently relocated to a larger facility to accommodate the growth! Follow HealthPost on Facebook, and visit their brick and mortar store if you’re in the Auckland area!